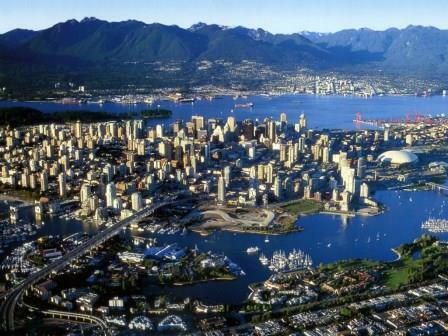 According to a recent RBC Economics Research study, Vancouver remains the least affordable city in Canada to buy a home – something that isn’t stopping first-timers prepared to lower their expectations, says one broker. According to the RBC survey, Vancouver remains the least affordable city to buy a house in Canada while home ownership in Toronto is becoming more difficult. Not true, says Best, who continues to see market slowdown. Times have changed, but so have the expectations of some first-time buyers. According to the report, the costs of owning a detached bungalow in Vancouver take up 82.3 per cent of a typical household’s income, up 0.1 percentage points from the previous quarter. In Toronto, that figure is 53.8 per cent, up 0.8 points, according to a housing affordability report for the first quarter produced by Canada’s largest lender. But the biggest contributing factor to a sluggish market is the media, says Best. Can we have a person in the mortgage industry write these articles? The stat that everyone is throwing around ("the cost of owning a detached bungalow in vancouver takes up 82% of a typical household income") is a ridiculous and meaningless statistic. First of all, its the cost of buying, not the cost of owning. But specifically the average bungalow in vancouver has been owned for decades, and has no mortgage on it, and will be torn down when it sells to build a multi-unit building. And the average household DOES NOT BUY a bungalow. They rent and are protected by rent controls. Its irresponsible reporting to just re-vomit some report and call it journalism. Hey, remember when not paying $1M+ for a home was normal? HA!.... Tough crowd, huh? How is "cost of ownership" a meaningless statistic? If cost of ownership is 82%, then that means there's only 18% of income for everything else. I'd say both of those numbers are EXTREMELY important for a variety of reasons. How can people survive with 82% of a typical household income goes to own a home ? Most of my clients only have 65% LTV mortgage, some up to 80%, very very few of them over 80%. Housing is difficult to afford, this is generally true in all big cities. I don't see any people jump into the market doing 95% LTV mortgage without thinking if they can afford later. May be a few but definitely not many.